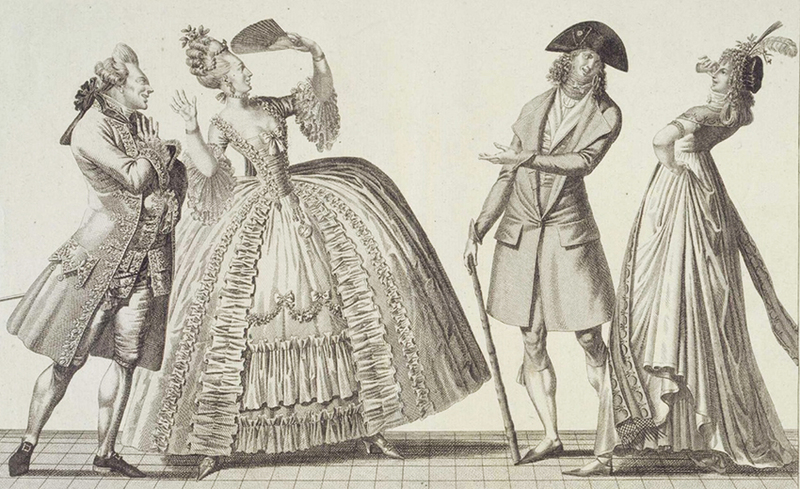 During the period of The French Revolution, that was the way people called young fashionistas from a royalist-minded “golden youth” social stratum, defiantly eccentric as to the manner of dressing and with the related manner of talking. 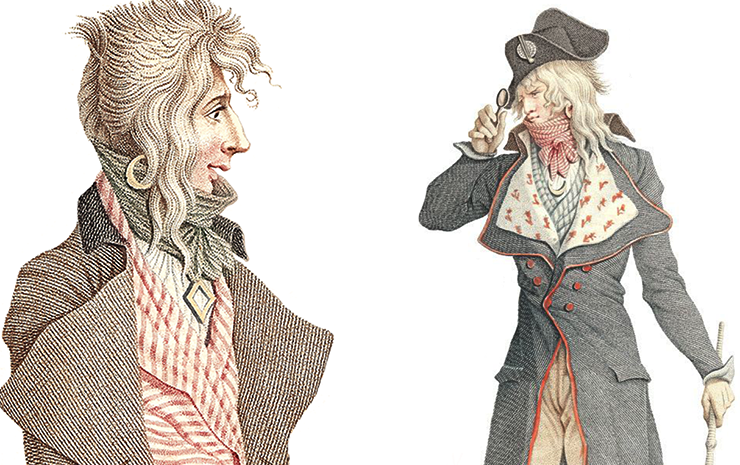 Elegant dandies with long pigtails up to the shoulders or a deliberately disheveled hairstyle with a short cropped neck part and long hair on the sides. The word itself gave an origin to a special type of a men’s frac which used to be fitted with an overly large collar and lapels, supplemented with a no less impressive tie that covered the chin, and a tightly starched shirt collar reaching the middle of the cheeks. 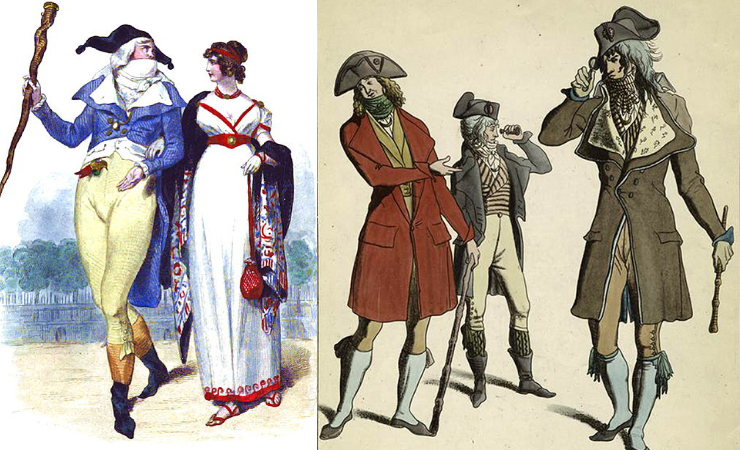 In Russia, during the reign of Paul I, such incroyable-fracs became a symbol of rebellious France and were banned accordingly, and only after the death of the emperor they reappeared and turned into casual clothes. Ladies used to wear dresses and tunics modeled after the ancient Greeks and Romans, cut from light or even transparent linen and gauze.